Hi! I am Lisa from over at Daily Style Finds, where I blog about all things fashion. Today, the ladies at The Blended Blog are sharing all of our top picks from the most popular sale of the year, maybe even bigger than Black Friday - and given all the sold out items - it seems to have been an overwhelmingly popular sale for many! 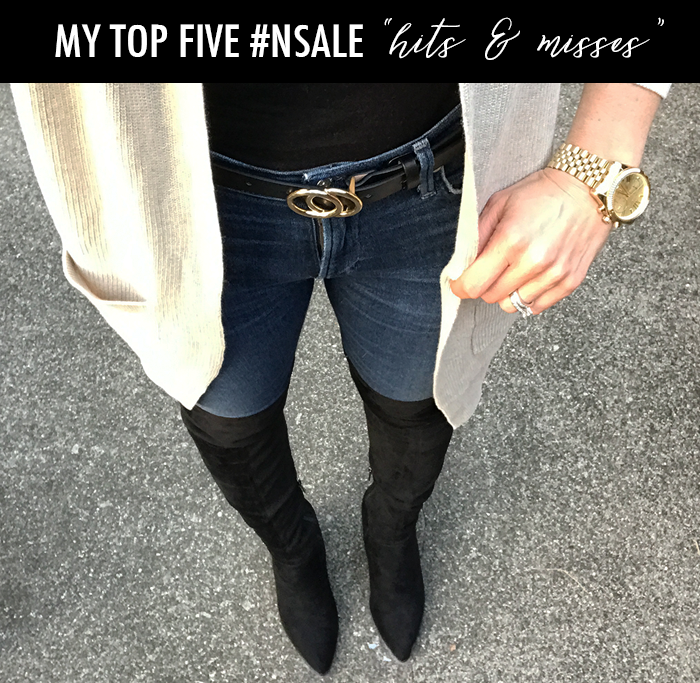 Last week, I shared my top five "hits and misses" from the sale. 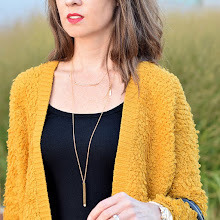 Can you guess if this cardigan I'm wearing from the NSALE one is one of my "hits or misses" - head to my blog to find out - along with all my others. 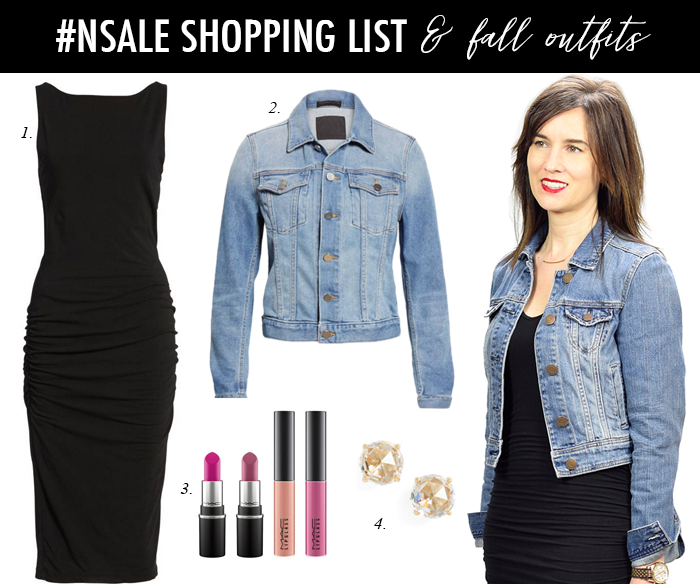 The NSALE is a great time to stock up on fall and all year round staples - like a little black dress and denim jacket. This is just one of the six outfits I put together with NSALE items. You can see the other five looks here. 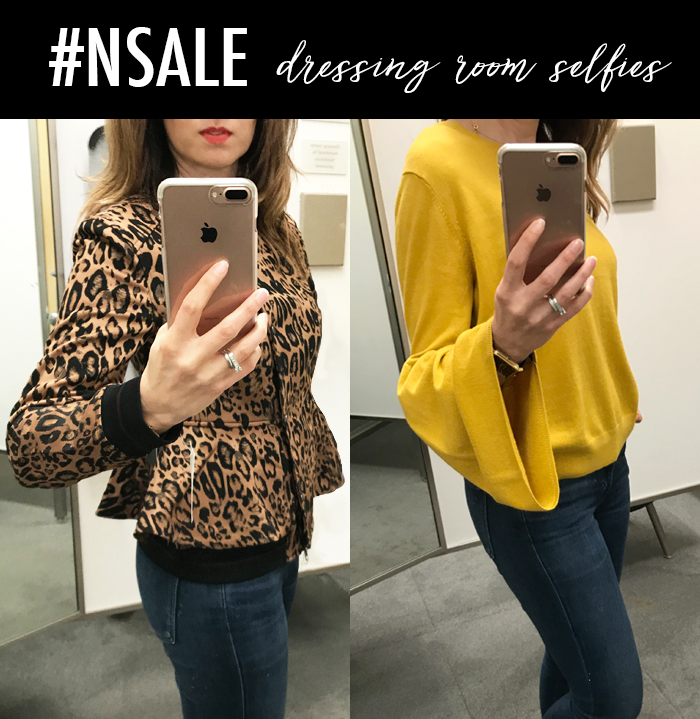 You may remember the other week when I shared my try-on session from the sale - this leopard jacket and bell sleeve sweater were two of my favorites. You can see more of my try-on session here. I have also shared many ways to "Save or Splurge" on popular items. 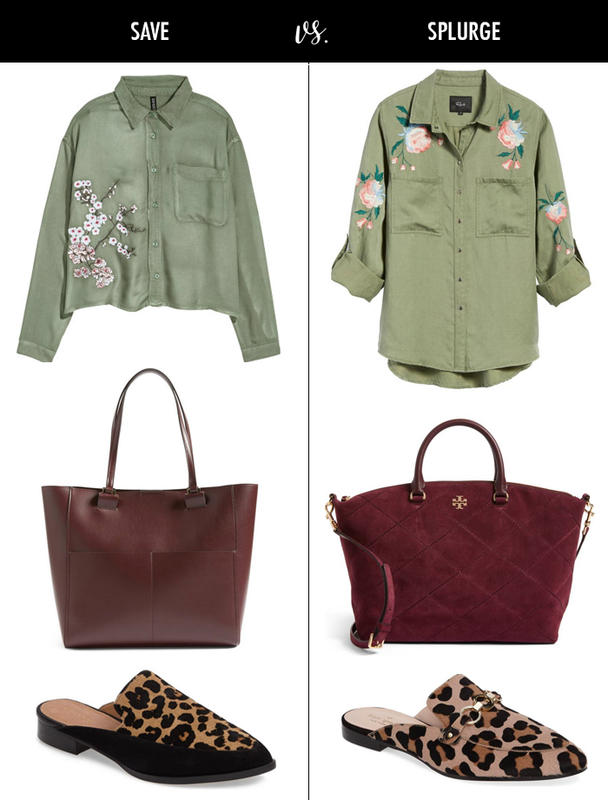 This tote, shirt and leopard loafers are just a few of the picks - you can see many more here - like fall slides and bell sleeve sweaters. Lastly, I typically stock up on my favorite beauty products during the sale - like my favorite shampoo and conditioner. I shared all my beauty picks here and under $25 picks here. Next, be sure to hop over to Alison's blog to see her picks from the Nordstrom Anniversary Sale.